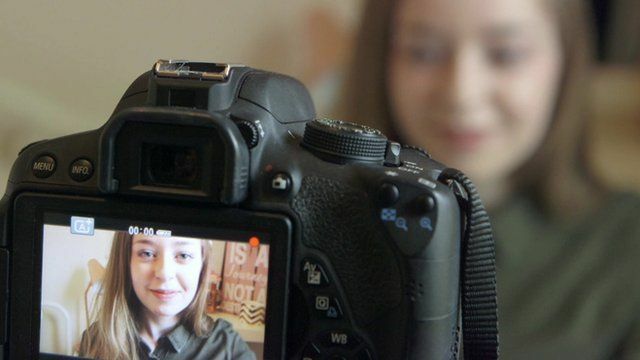 How to make a billion by vlogging Jump to media player School Reporters from Wrenn Academy, Wellingborough, explore how YouTubers have made their fortunes by vlogging. Steel staff 'worried for their jobs' Jump to media player An electrician waiting to hear how he will be affected by the proposed 750 job losses at Tata's Port Talbot site says the plant is "not a very nice place to work at the moment". Fleeing war-torn homelands decades apart Jump to media player Two people driven from their homes by war but decades apart talk about starting new lives thousands of miles from where they grew up. School Reporters from Wrenn Academy, Wellingborough explore how YouTubers have made their fortunes by vlogging. This report was original broadcast by BBC Breakfast News on 10 March 2016 was produced as part of BBC News School Report.